The Bow Chocks are available in sizes of 4" and 6" and are sold in sets of 2. They are easily installed using #10 or 1/4" screws. 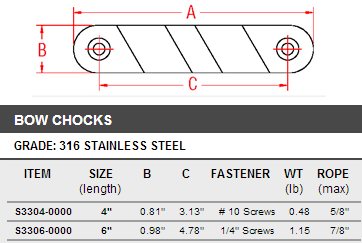 These stainless steel chocks feature polished and rounded edges to prevent chaffing of lines.